Following Max Holloway’s impressive win over Jose Aldo last weekend, the featherweight champ has relayed to the star that he’s still the “GOAT”. 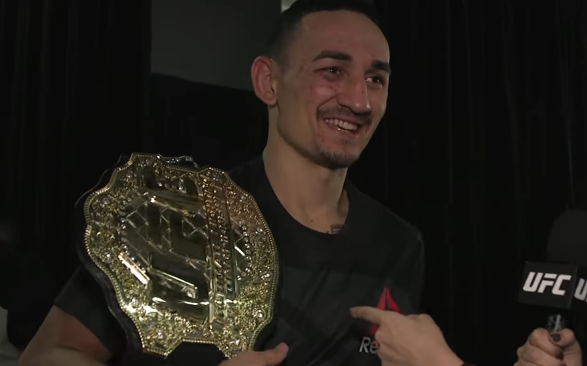 Holloway stopped Aldo in the the third round at UFC 212, and in doing so, became only the second man since 2005 to defeat the Brazilian star. Losing is part of this fight game. Saturday night takes nothing away from his legacy. This is a guy who would show up to his gym sometimes without eating in the last day because he was so damn poor. This is a guy who built the 45 division and became king. This is a guy who found motivation to keep earning what he already had. He defended his throne. For a decade. For honor. For his team. For his countrymen. This is a guy who didn't start at pole position in this world and look at what he achieved. Brazil needs to celebrate that man. Acai with powered milk and cashews for everyone. He's a GOAT, and his story will always be an inspiration to me and people of Hawaii. Obrigado, Ze @josealdojunioroficial Obrigado.